Certain red flags in a tax return are sure to draw scrutiny by the IRS. Some are easy to sidestep. Others, can't be helped. The Internal Revenue Service uses a combination of automated and human processes when selecting which tax returns to audit. All tax returns are compared with statistical norms, and those with anomalies undergo three layers of review by personnel. Audits then occur either by mail or in meetings at taxpayers’ places of business. They can be unpleasant and are sometimes unavoidable. 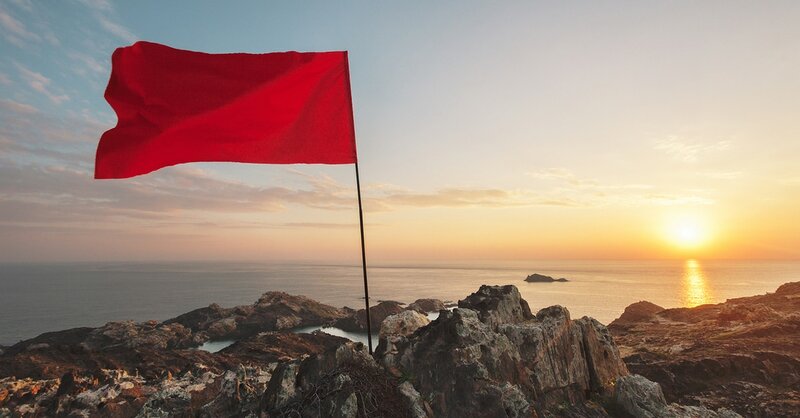 Certain red flags are sure to draw scrutiny and some are easy to sidestep—unreported income, for example. Others, such as high income, can’t be helped. Unreported income is perhaps the easiest-to-avoid red flag and, by the same token, the easiest to overlook. Any institution that distributes an individual’s income will report it to the IRS, and the more income sources you have, the greater the difficulty in keeping track. Old brokerage accounts are commonly overlooked, as are Form 1099s and distributions from a college savings account to pay tuition. The IRS will typically receive a copy of all the tax forms that you do, including distributed income. The IRS will match the reported items to a person’s return. If they see something missing, they will automatically conduct at least a letter audit. The Foreign Account Tax Compliance Act has strict reporting requirements for foreign bank accounts. The law requires overseas banks to identify American asset holders and provide information to the IRS. Individuals must report foreign assets worth at least $50,000 on the new Form 8938. It used to be you didn’t have to report it; you just had to check a box that you had one. Now you have to not only check the box, you have to identify the institution and the highest dollar amount the account was at the previous year. The regulations demand openness, which in turn increases the likelihood of an audit. That’s because of a perception that taxpayers with foreign accounts are trying to hide income offshore. But it’s a Catch-22: Compliance with the law increases the likelihood of an audit, and noncompliance can result in stiff penalties and significant legal liabilities. The IRS will give a close look to excessive business tax deductions. The agency uses occupational codes to measure typical amounts of travel by profession, and a tax return showing 20% or more above the norm might get a second look. Also, take-home vehicles aren’t considered strictly business, so a specific purpose should accompany any vehicle-related deduction. Generally speaking, the IRS can be strict about mixing business and personal expenses. Business meals can be allowable, but exceeding the occupational norm by a great amount invites an audit. Business meals oftentimes can be a blurred line, so be sure to document what is and isn't a personal expense. Last year the IRS audited about 1% of those earning less than $200,000, and almost 4% of those earning more, according IRS data. Raise the threshold to $1 million and the percentage of audited tax returns increases to 12.5%. The same patterns exist when it comes to business tax returns: 1% of corporations with less than $10 million in assets, compared with 17.6% above that threshold. $55.2 billion was collected through enforcement activities last year, a 63.8% increase since 2001 without adjusting for inflation. But enforcement personnel increased only 9.8% during that time. When you file a tax return with TurboTax, you automatically receive access to our Audit Support Center, which can help you respond to the most commonly received audit inquiries. The TurboTax Audit Support Guarantee also provides free audit guidance from a trained tax professional to help you understand why the IRS contacted you and to answer your audit questions. For those who want even more protection, TurboTax offers Audit Defense, which provides full representation in the event of an audit, for an additional fee.